South Coast Medical Group is a full-service occupational and urgent care facility serving people in Aliso Viejo, California, and surrounding communities. In fact, South Coast Medical Group is a contracted provider for most workers’ compensation insurance carriers. The practice provides numerous services, including work-related injury assessment and treatment, drug screenings, Department of Motor Vehicles physicals, and occupational medicine. If you own or run a business, contact South Coast Medical Group for all your occupational care needs. 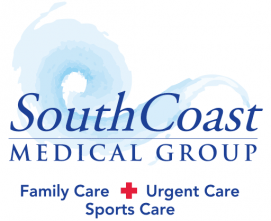 What companies does South Coast Medical Group serve? How does South Coast Medical Group benefit companies? South Coast Medical Group is dedicated to working side by side with employers in their efforts to manage and facilitate workers’ compensation injuries and claims. The practice provides your company with physicians and staff that have current knowledge of workers’ compensation and occupational medicine. Physicians are qualified medical evaluators and certified by the Division of Workers’ Compensation-Medical Unit. The office staff accommodates individual protocols for your company’s needs, including faxing and calling work status immediately after patients are evaluated. South Coast Medical Group has a progressive back-to-work program that includes first aid only, modified duty, and a work hardening program. Company managers are invited to tour the facility at South Coast Medical Group and meet the physicians and staff. What workers’ compensation services does South Coast Medical Group provide? What types of injuries generally fall under the scope of workers’ compensation? Physical injury on the job, including exposure to toxins, hearing loss, and repetitive motion injury (such as carpal tunnel), Physical injury sustained while operating a company vehicle, Pre-existing conditions aggravated by work tasks, including back injury, Injuries caused at company facilities, events (even company picnics), and during breaks, Mental and physical strain brought on by work duties or work-related stress, Self-inflicted wounds, injuries sustained while intoxicated or committing an illegal act, and injuries sustained while not at work are generally not covered by workers’ compensation.